I started by making the background using scraps of cardstock. 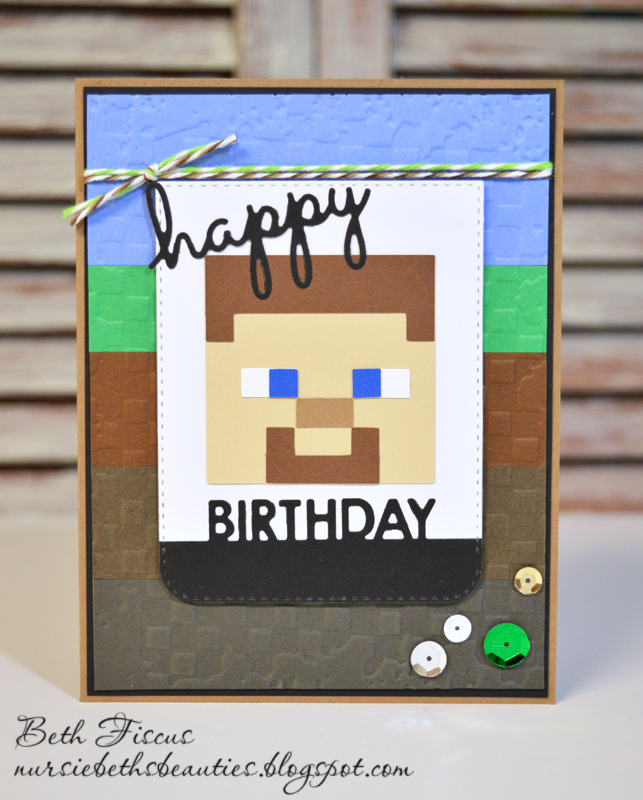 I layered them to be reminiscent of Minecraft world layers. I then embossed the background with a folder that had squares on it. I tied Chocolate Truffle and Limeade Trendy Twines around that background layer. 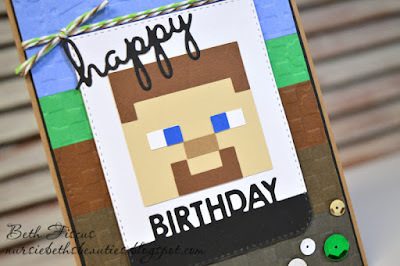 The focal point banner and words were created using unbranded die cuts from eBay and the Minecraft Steve head was a svg file I created and cut using my Silhouette Cameo. I added sequins in the bottom corner with Glue Dots for a finishing touch. 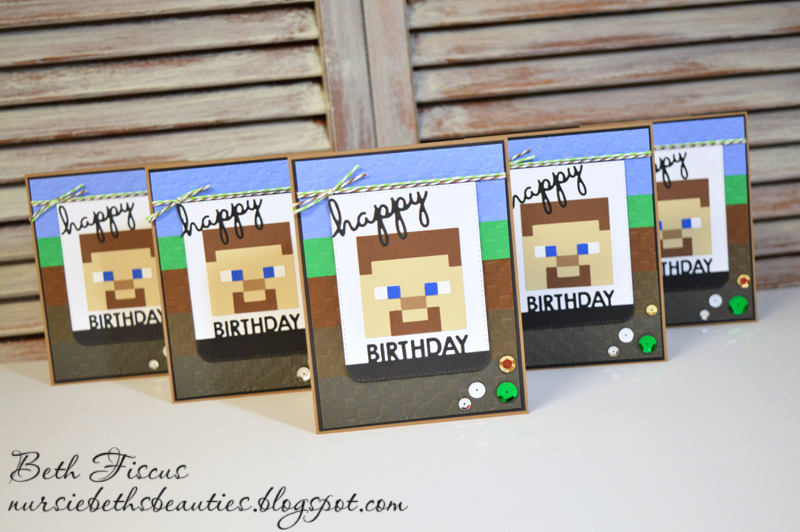 Since I have 3 boys and they get invited to birthday parties, I decided to make several more of these cards! So what are you waiting for? 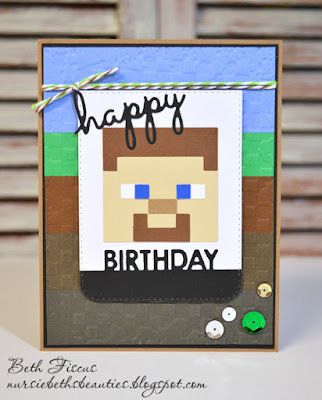 Head on over to the Die Cuttin Diva's blog and enter in their "Birthday" challenge today! So AWESOME Beth! My Boys LOVED Minecraft! The background looks cool and nice job making multiple ones to have on hand for those Birthday parties you get invited too!!! Have a great day! Those are so cute! 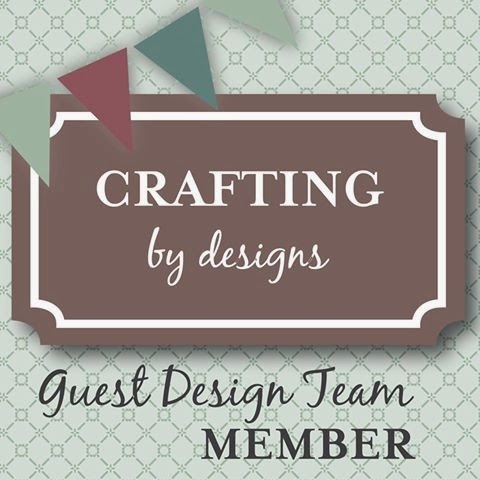 Thanks for being our guest designer this week at Die Cuttin' Divas. SUPER cool!! 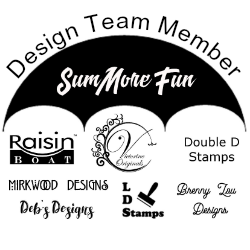 Congrats on your GD post over at DCD! 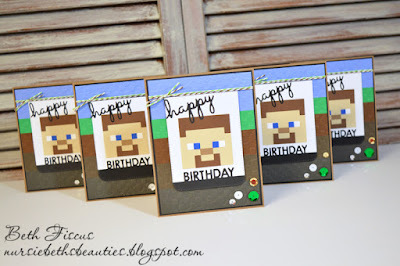 Fabulous set of cards, super fun design! 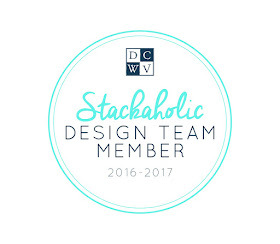 Congrats on the GD spot! Way cool! 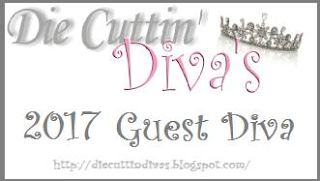 Thanks for being our guest designer at Die Cuttin Divas this week.